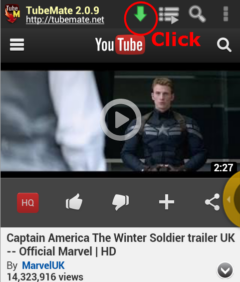 Here is a Tutorial on how to download videos from YouTube, vimeo, vuclip, dailymotion, Facebook and other websites with Tubemate app. 2. 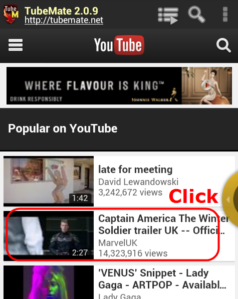 Select the video you want to see. 3. Click the download button below. 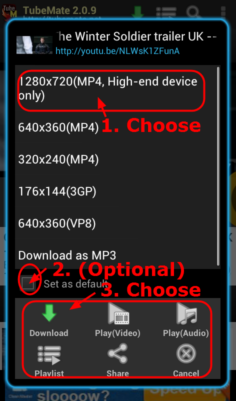 * If the download button does not appear, please check the “Overlay Download Button”in the configuration. 4. Select the required resolution. 5. Once the download is started it will display the download icon in the status bar. 6. Opening the status bar on the bottom, you can see more detailed information. Also, click for more information to see the guide screen. 7. 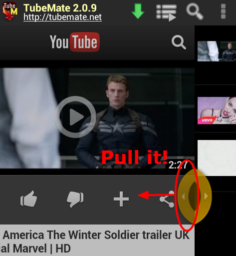 You can view the download list by clicking on the bottom of the folder icon. 8. 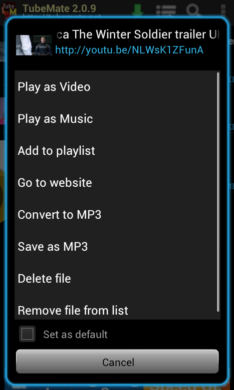 When the download is complete, you will be able to play the video. 9. 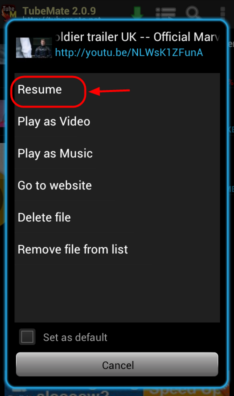 If a download is interrupted, you will be able to carry out the resume function. Congratulations you have successfully learned they process of downloading videos from YouTube.